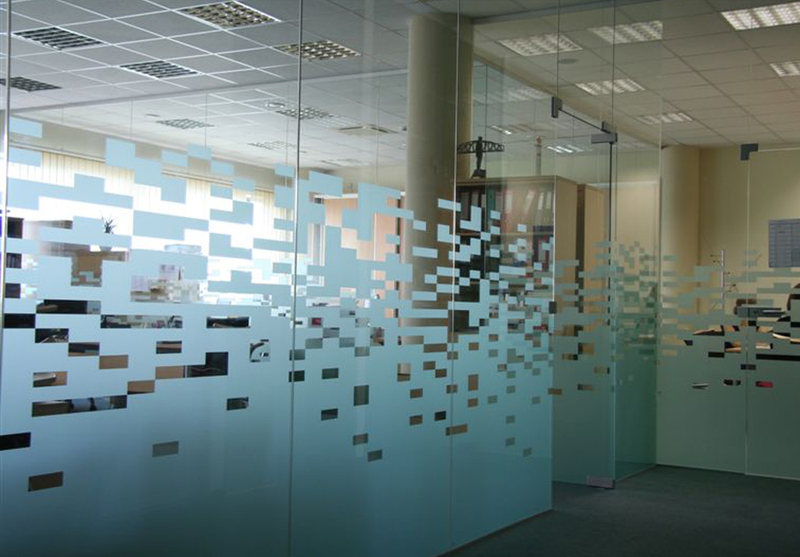 Decorative window film transforms glass from looking ordinary to having a beautiful etched appearance without the associated high cost of sandblasted or acid etched glass. 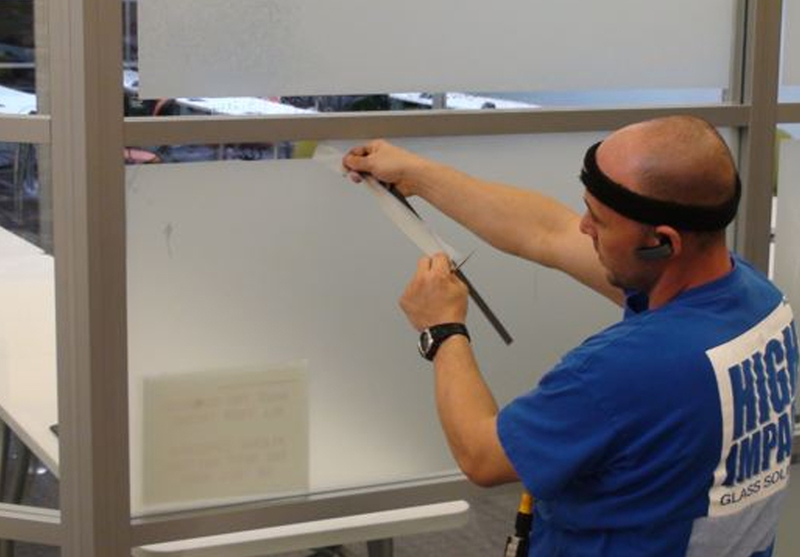 Applying our enhanced designer films to the inside of glass surfaces, we can achieve economical make-overs that turn clear or tinted glass into veritable works of art! 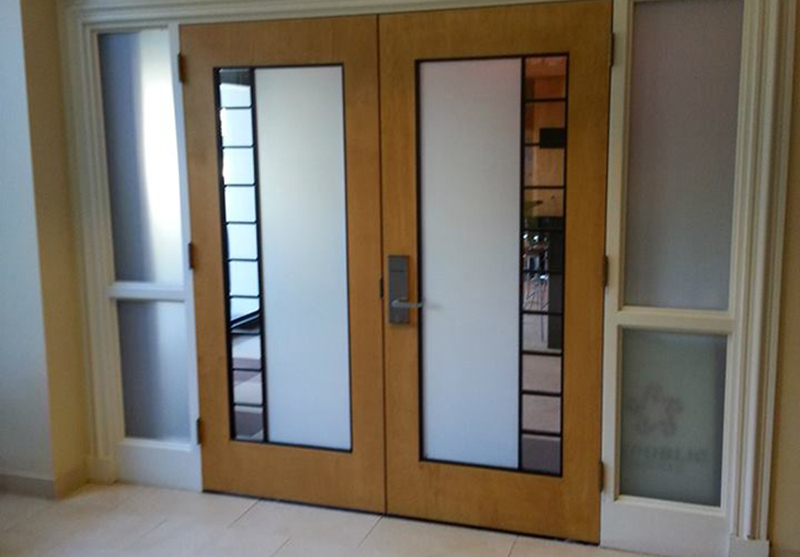 Many of our clients want added privacy without compromising light or feeling closed in. Such was the case for the TECO conference room. To eliminate their “fish bowl” effect, we were contracted to apply frost film for privacy that wouldn’t make the room too dark. With just the right amount of frost, their conference room achieved the aura they hoped for. To customize their film installation, we hand-cut and spliced the film to TECO’s specifications. 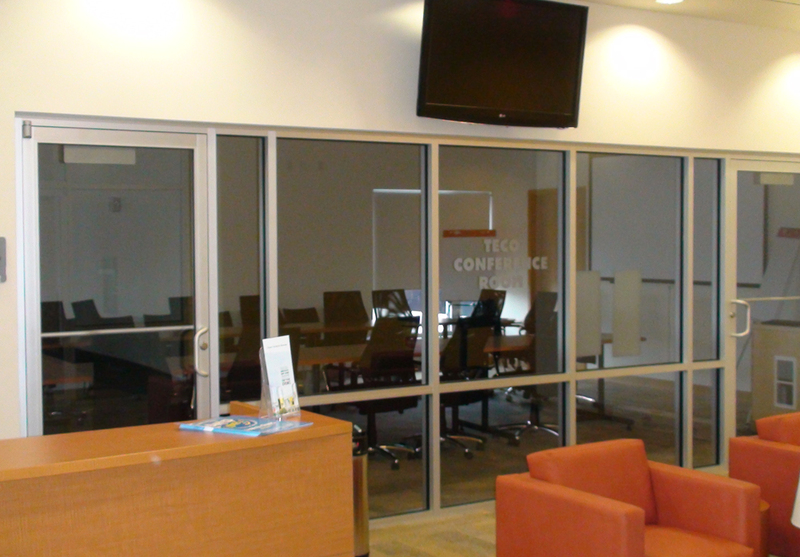 Our selection of films retrofit existing glass and are suited for practically any interior or exterior makeovers. 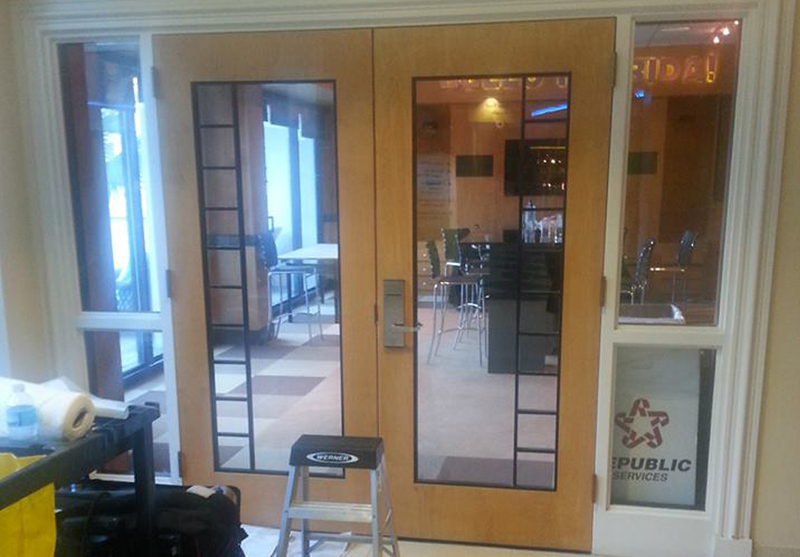 Even ordinary doors can be filmed with outstanding results. 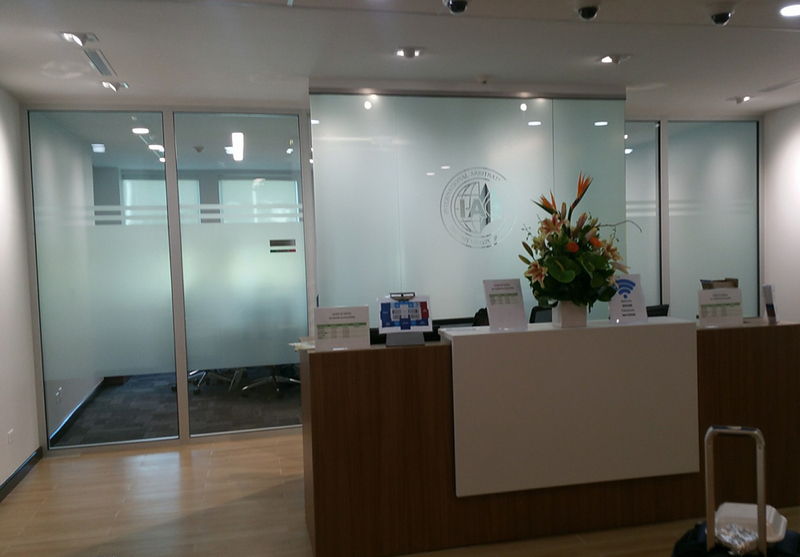 Our frost film application made this very plain reception area look totally awesome! Our in-house plotter for precision cutting along with our ability to hand-cut film on site enable us to accommodate any custom design to match whatever your mind can imagine. And if you’re looking for a “splash” of color…… we can accomodate that too! Customized corporate logos and signage attract new customers, provide an attractive way to announce coming events, or beautify storefronts. 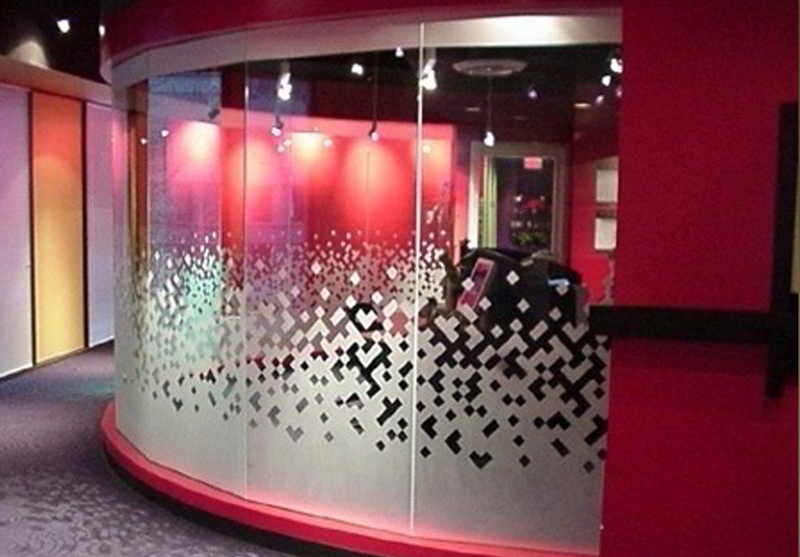 For us they provide more exciting venues for our decorative window film applications. 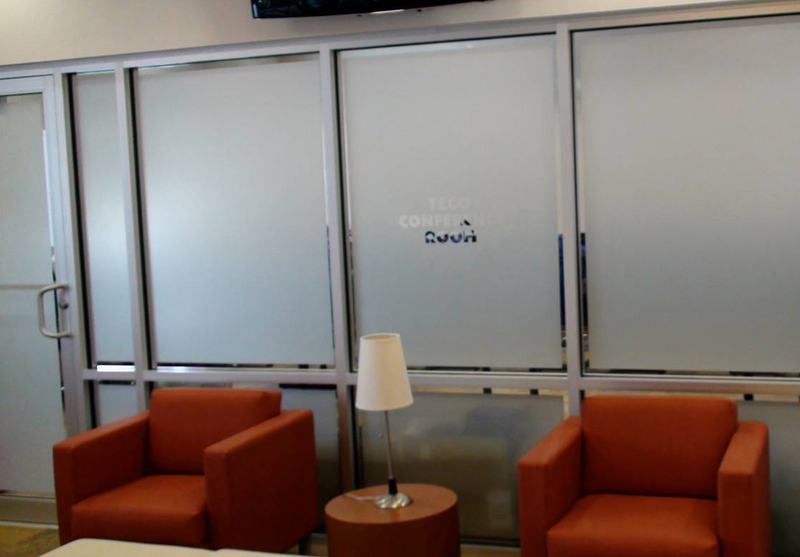 Frost and decorative window films are more cost-effective than etched glass, able to add solar protection to sun-drenched areas, and come backed with manufacturer warranties. They can also be changed or even removed should there be new design needs, making window film a huge plus for leased or commercial spaces. We install the highest quality brands of frost and decorative window films with a stunning selection from LLumar and Solyx. However, a successful outcome depends on more than just the industry’s best film. It entails a harmonious relationship between our customers and our film specialists to bring visions to life. Without sacrificing natural light, our films create the perfect balance between functionality and style, making them ideal for almost any application. From residential to commercial, retail to hospitality, whether one window or an entire building, the possibilities are endless….